Students taking ceramics get hands-on experience with clay. 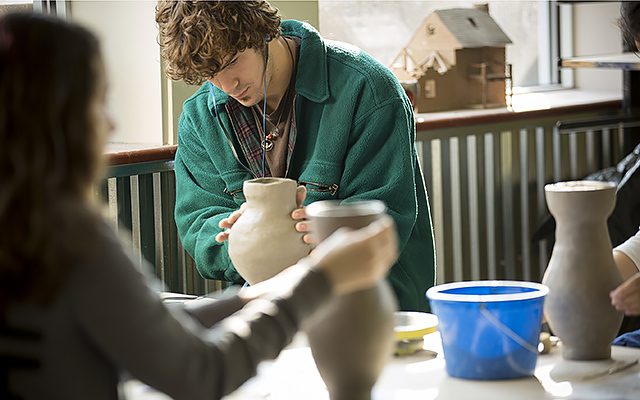 Studio students at Juniata have the opportunity to work in a variety of media, including painting, drawing, photography, digital photography, print making, ceramics, sculpture, and computer art. Students may concentrate in the studio arts and combine that concentration with another discipline such as Art and Art History, Art and Political History, Art and Psychology, Art and literature, and Art and Communication, for example.